Panama City is located along US Route 98 in the panhandle of Florida. It's found in Bay County and a part of the Panama City-Lynn Haven Metro area. The population of Panama City is about 37,600 and the population of the metro area is about 170,000. Along with the full time residents living in the area, Panama City hosts a number of visitors every year. It's one of the most popular spring break destinations for both college students and families. The mixture of visitors and residents makes for a dangerous combination on the roads. Panama City and the surrounding area attract hundreds of thousands of visitors every spring. Visitors come to the area with very little knowledge of the roadways. Mixing all the different driving styles with regular residents makes for very dangerous roads. Spring Break brings many younger drivers to the area and the possibility for more drinking and driving scenarios. Accessing Panama City usually requires driving on Interstate 10. The Florida stretch of I-10 is known as the 57th most deadly highway in the United States. From 2004 to 2008 the Florida stretch of I-10 saw 234 fatal traffic accidents with 272 total fatalities. Traffic accidents in Panama City and Bay County are on the rise. Can you imagine how much more dangerous the roads would be if the authorities didn't monitor the traffic, especially during spring break? In 2015, law enforcement officers in Bay County, Florida issued 16,463 traffic tickets. Out of these total tickets more than 9,100 were issued for speeding. Another 1,708 were issued for careless driving. Judges in the area only dismissed a total of 529 tickets or 4% of the total tickets issued. Your chances of getting out of a ticket in the Panama City area are very slim. 3 points for speeding (less than 15 mph over the posted limit), open container violations, curfew violations (minors only) and other violations. 4 points for speeding (15 mph or more over the posted limit), passing a school bus, running a red light, careless driving or other violations. 6 points for causing an accident while speeding or leaving the scene of an accident with at least $50 in damage. Do you really want to bum rides from friends or take a cab everywhere for an entire year? Go to the clerk of the court's office and pay your ticket. Let the clerk know you will enroll in traffic school. Enroll online and select the basic driver improvement course. Complete the court and get your certificate of completion. That's all it takes and you can avoid points on your license and your insurance rates won't go up. 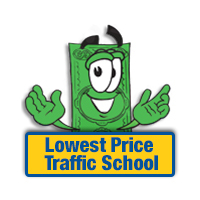 Are you Eligible for Traffic School in Panama City, FL? Traffic school eligibility is very straight-forward in Florida. You can take the basic driver improvement course to avoid points on your license up to five times. However, you're only allowed to take the course once every 12 months. If you haven't taken it five times or in the past 12 months, you're eligible. 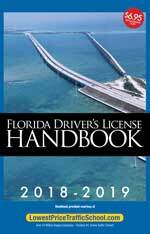 After you receive a traffic ticket in Panama City, Florida, you will deal with the Bay County Clerk of the Court for payment and information. The clerk of the court will also take your certificate of completion from traffic school. Get more information about the Bay County Clerk of the Court by visiting their website.